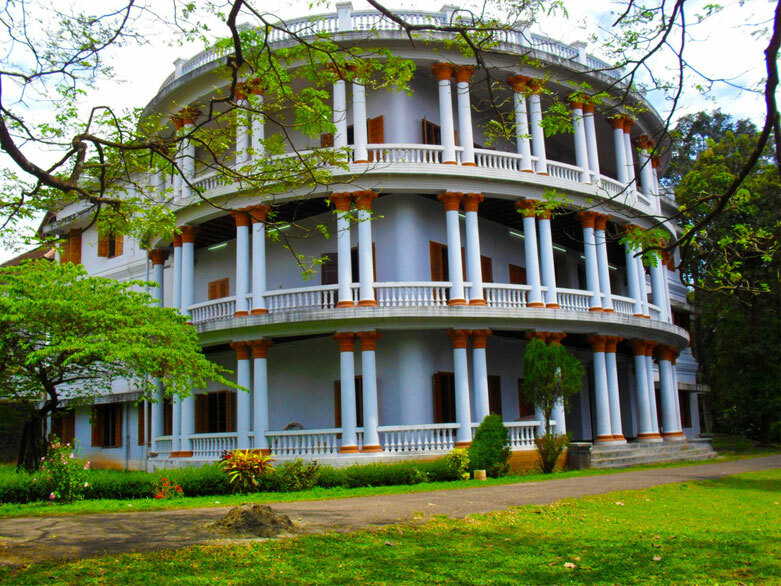 Hill palace which is the largest archaeological museum in Kerala is situated in Tripunithura in Ernakulam district. This palace was built in the year 1865, by the Raja of Kochi and was made his office. He constructed this palace using their personal wealth. This palace was given to the state government by the Royal family and in 1980 it came under the control of the Archaeological department who then converted it into a museum. There are 49 buildings in this palace and they are constructed in the traditional style. The first building is single storied and is in the ‘Ettukettu’ style. There is a pond and temple nearby. All the other buildings that were constructed later were a combination of traditional as well as western architecture. The palace is built on a hillock and the whole palace spread across 54 acres of land. In this palace, there is an archaeological museum, heritage museum, historic park and children’s park. In the museum there are 14 galleries for different types of exhibits which include mural paintings, sculptures made of stone and plaster of Paris, various inscriptions, carvings etc. All these items are obtained from the Cochin Royal family. The Royal collections include beautiful statues, royal beds, ornaments etc. Certain exhibits are obtained from the Travancore Royal house, Department of architecture etc. There is a very valuable gold crown which has several precious articles embedded on it. The antique collections include pottery and ceramic articles bought from China and Japan, tomb stone, hood stone, wooden temple models etc. There is a beautiful garden surrounding the museum which is converted into a botanical garden. Some rare medicinal plants are also grown here. Inside the museum the Government has established a centre for Heritage studies that offers various courses in Archaeology, conservation etc.